Pictured right to left: Donna Harman, president & CEO of AF&PA, and Steve Sangalli, Domtar’s Hawesville engineer. 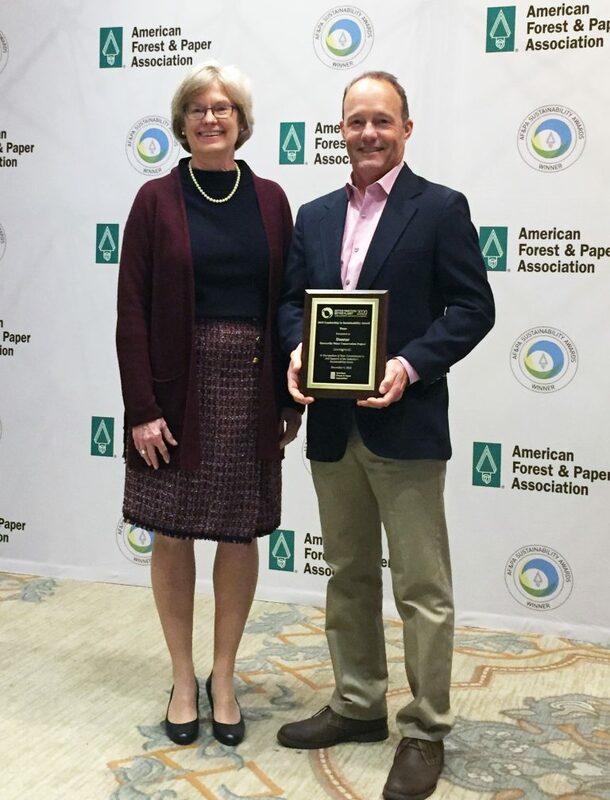 The American Forest & Paper Association recently recognized our Hawesville Mill in Kentucky for its water conservation efforts with a 2018 Leadership in Sustainability Award. Hawesville water conservation efforts will save nearly 3.2 million gallons of water per day. We are committed to being a good steward of the water we use. Our pulp and paper mills rely on having an uninterrupted flow of water to produce cost-effective, high-quality products. Every day, our mills use millions of gallons of water, which are cleaned before use and again before being returned to their source, in many cases cleaner than when they entered our process. Continue reading about Domtar's conservation efforts here.